We care practically and spiritually for many of the needs around us in our city. We currently serve through three teams, and all the services we provide are given unconditionally to any who have a need. Each year we work with thousands of lives across the city, often working in partnership with others, including churches, schools, charities, and the local authority. 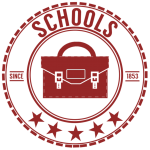 Schools: A team that visits schools to help them fulfil the Social, Spiritual, Moral and Cultural Education National Curriculum requirement. The team reaches over 8000 children each year through faith based assemblies, lessons, and prayer spaces, in 30 Primary schools across Sussex. 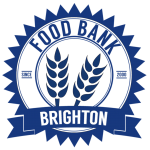 Brighton Food Bank: A team that exists to help individuals and families in times of crisis with food, home start up packs, and fuel payments. The team also signpost clients to other agencies that can help keep them out of times of crisis. 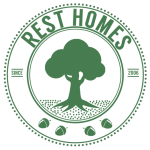 Rest Homes: A team that visits 18 rest homes, care homes, and sheltered accommodation to provide an interactive, fun filled, faith based programme for residents. The team also offer one-to-one visitations to individuals that may feel lonely or are going through a particular hard time. Visit our Who’s Who page to see profiles on every staff member. Our staff are supported by teams of volunteers who work across the city helping us deliver these services. We are reliant on supporters generous donations to survive financially, find out how you can give today by visiting our Finance page. 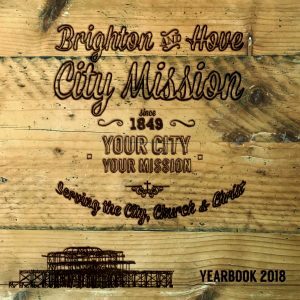 The Brighton and Hove City Mission was founded in 1849 with the task of bringing the Christian gospel to the men, women and children in the city. To celebrate the 160th anniversary, a special edition of the City Mission’s history was published. ‘Into the Streets and Lanes’ by Berni Bannier is a fascinating account of the outreach work of the City Mission, which continued against a background of changing social, economic, and political conditions in Brighton and Hove to the present day. We are delighted to be able to offer this book to you free of charge! To request a copy, please email office@bhcm.org.uk. Click the image to view our current yearbook (To download to your computer ‘right click’ and ‘save link as’ choose a folder to save to, then click ‘save’). The Equal Opportunities Policy of Brighton & Hove City Mission (BHCM) reflects both the statutory Objects of BHCM, and the spirit and intention of legislation that outlaws discrimination. BHCM recognises that people from different backgrounds can bring fresh ideas and skills. It values diversity and welcomes interest from all sections of the community. And it is committed to build and reinforce a culture where people value each other and treat each other with dignity and respect. In terms of our ministry to those we seek to serve, BHCM will not discriminate or treat any individual less favourably on the ground of gender, marital status, race, colour, nationality, ethnic origin, disability, age or sexual orientation. BHCM aims to ensure that people with disabilities are given equal opportunity to enter employment or to join us as Trustees or Volunteers. In doing so, we will fully consider making reasonable adjustments to working practices, equipment and premises to ensure that a disabled person is not put at a substantial disadvantage due to their disability. In addition, should someone already employed by BHCM become disabled, every effort will be made through reasonable adjustment, retraining or deployment to enable them to remain in the service of BHCM.